Was in Bangkok for the Late King Cremation Ceremony. Initially I was planning to go to a province just 3 hours away from Bangkok. I didn't know about the event and there were many road closure and public service disruption during the event. People from all over Thailand was in Bangkok to witness the event. If you watched the news around that time then you probably knew people were camping on the streets to get a better view around the Royal Palace. I was looking for accommodation around Khaosan Rd but five places that I visited they all said booked out for the days. First time I experienced such situations in low season in Bangkok. Usually I just rock up to the place and I can find a dorm room to stay for the night. But no luck during the event. 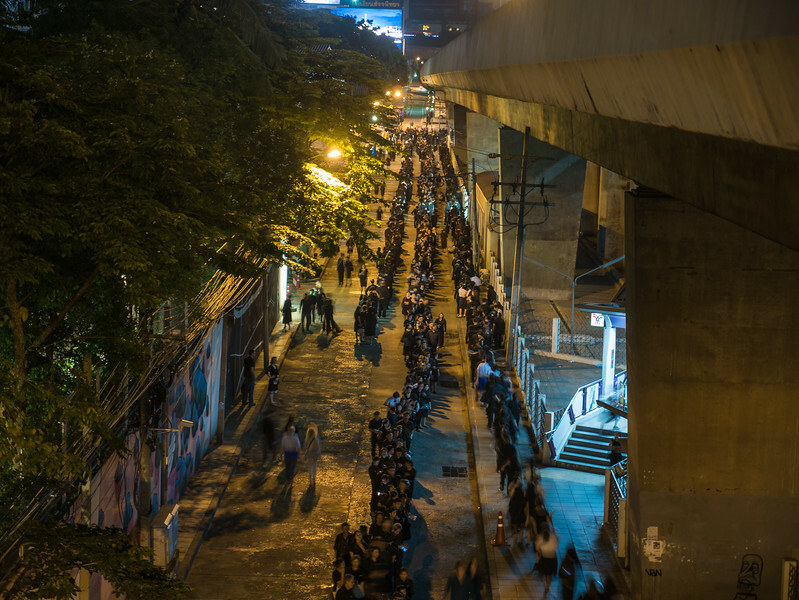 People were wearing black everywhere in Bangkok and it really show how respectful the Thai people to the Late King. How many Kings and Queens in the world have the same respect from the people? It was an experienced that unique when you travel, to see the streets of Bangkok empty during peak hours is once in life time experienced.